We made a ballet studio, so of course we needed to make a classroom! Today I used another one of the foam core sheets that we had gotten to create a little classroom for Zoey's dolls. This one was pretty simple in design. I used different pieces of scrapbook paper that I felt worked for the school theme and then I had some thin sheets of adhesive backed cork that I put on the center of my board. I added the left over dowel (from my ballet studio scene) to the bottom of the cork for a more finished look and added a map and a faux chalkboard. I used a box (from an old deck of cards) and adhered paper to it and inked the edges and cut a little notch off the front for an "in" box where the dolls can put in their finished assignments and glued a mini clip to the wall for the teacher's papers and notes. I had some scrapbook paper that was a whole bunch of flash card images so I cut some out and cut a hole on the top of them and looped some string through and hung them to the board with a brad. I googled "round clock" and found our image for the clock and printed it and adhered it to the board as well. I added some fun stickers and was done with the board. Zoey has the playset, Doll School by American Girl (she got it from her grandparents) and so we dug out some folders, books, papers and things to make it look more complete. She had also gotten the adorable little school desk from her grandparents previously and of course we had to set that up to make the classroom complete. 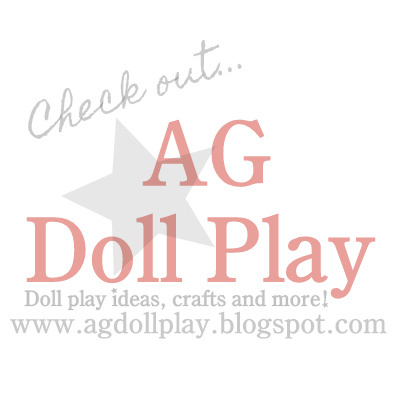 The possibilities are endless when it comes to creating backdrops for your dolls! 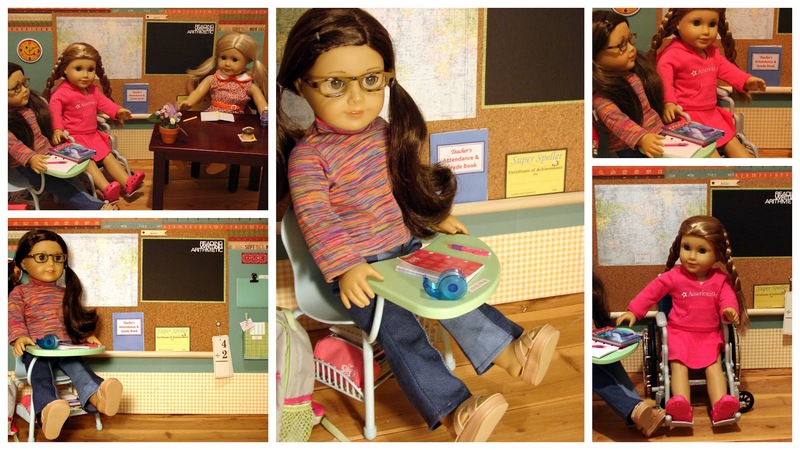 This is the perfect solution to suit an individual that has little space for play with their dolls. These boards can easily be stored under a bed or slid on a shelf when not in use and then you can create a play space wherever you wish when it's time to play! So fun! What are the dimensions of the classroom? How do the foam core pieces stand upright? So cute! 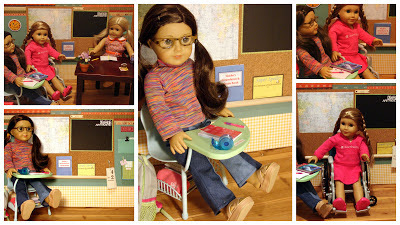 In the future i would like to see more tutorials for doll school supplies, because i need more ideas for my dolls, Abbey, Mollie, Felicity, Anna, Sarah, Ruthie, Isabelle, Lanie, Kanani (Whom i call Eva) Jessica, Lilly, Trisha, and Caroline. You are so neat about it, it's AMAZING! You glue things so straight and neat, and I just love your creative ideas! Thank you for sharing them with us!